hosted by Basil Rathbone, this mystery old time radio show follows the newspaper reporter, Mike Connoy, in "the world's greatest mysteries." "Presenting the World's Greatest Mysteries ... "
Recorded for Syndication, the mystery tale series, Europe Confidential is hosted by the movie and radio star, Sir Basil Rathbone. Much of Rathbone's early career was playing the suave villain in swash-bucklers and period-costume dramas, often doomed to die at the end of a long sword fight with Errol Flynn ("I could have killed Errol Flynn any time I wanted" he would quip in his autobiography.) Rathbone's most famous role was Sherlock Holmes. He first portrayed the famous detective on the screen in the 1939 The Hound of the Baskervilles. He would reprise the Detective in 14 films and many times on Radio. He felt that the Holmes role had trapped him in a typecasting that he couldn't escape, and this may be part of the reason he became associated with Europe Confidential. 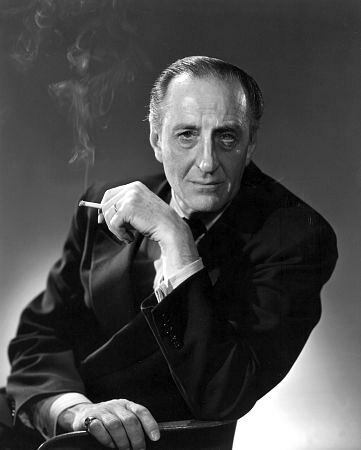 Rathbone as host appears at the beginning of each episode, and again at the end of several. His speech seems to have been recorded separately and edited onto the rest of the episode; he introduces the show and the main character, reporter Mike Connoy, but not the story of the episode. Reporter Mike Connoy is palyed by actor Lionel Murton. Murton played small roles in a number of films and television, but there is no record on his having any other Radio work. Mike Connoy is a reporter for an American newspaper, but based in Paris. Connoy gets involved in Wartime espionage, Postwar spy cases, murder mysteries, cases of mistaken identity, blackmail, and art theft. Like any good fictional reporter, he always has the mystery figured out long before the police, and scoops his competitors in the process. All in all, Europe Confidential is a fun piece of 1950's radio entertainment. Be the first to comment on "Europe Confidential"